Train Station is the name of block #22 for our City Girl Sew Along. 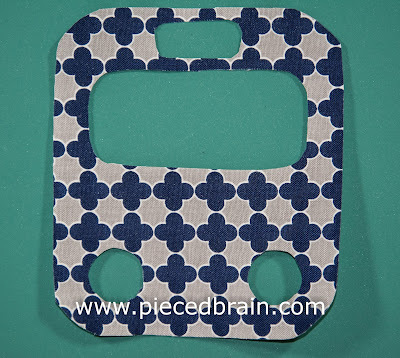 It features reverse applique which is super easy to do. The train is set against a light gray background (Solid by Riley Blake Designs), so the train could be coming out of a tunnel, too! This is what I gathered near my sewing machine. The template can be downloaded by clicking here. 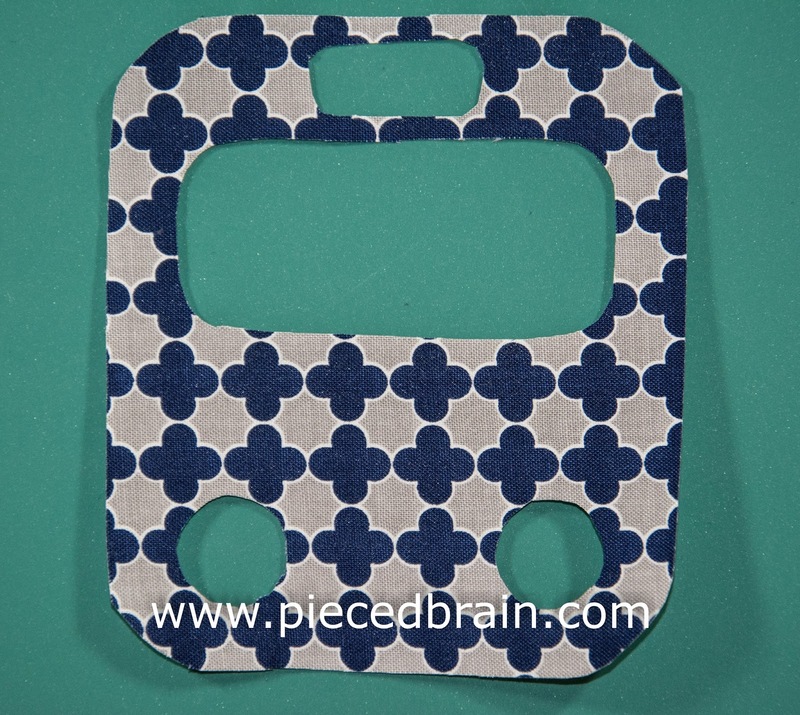 Trace template onto smooth side of fusible web (for details on how to work with fusible web, click here). 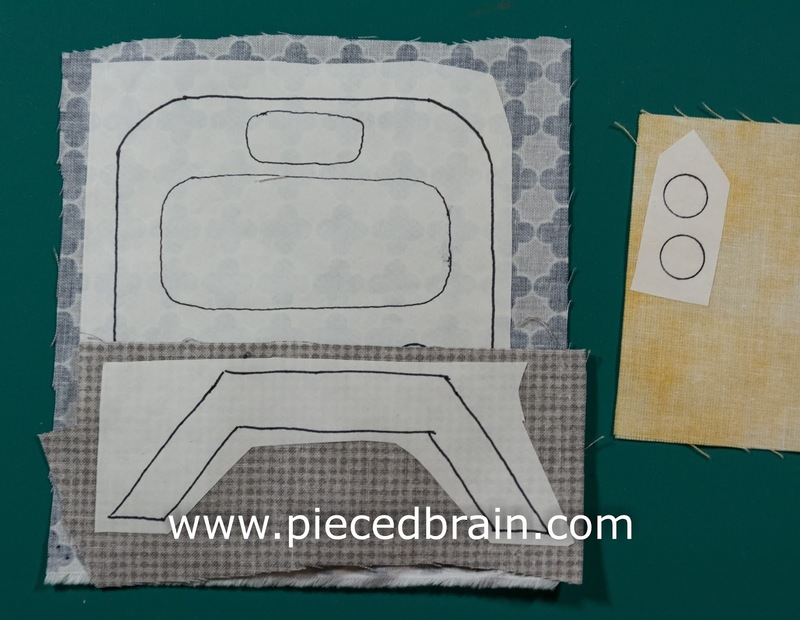 Iron applique shapes to wrong side of fabrics as shown above. As you can see, my lines are not usually straight because of the bumpy side of the fusible web. However, that is not a problem because I can fix them as I cut each shape. Cut shapes inside the train carefully. Your train should look like this when you are done. One of the reasons we are doing this is because we will then be able to choose any print for the train and won't have to worry that it will show through the yellow for the lights, for instance. Fuse shapes to fabric according to the photo above. I ironed some fusible web to the back of two pieces of yellow fabric, then inserted them between the train and the background where the holes for the lights were. For the reverse applique, machine applique around the cutouts on the train using thread that matches the train fabric. 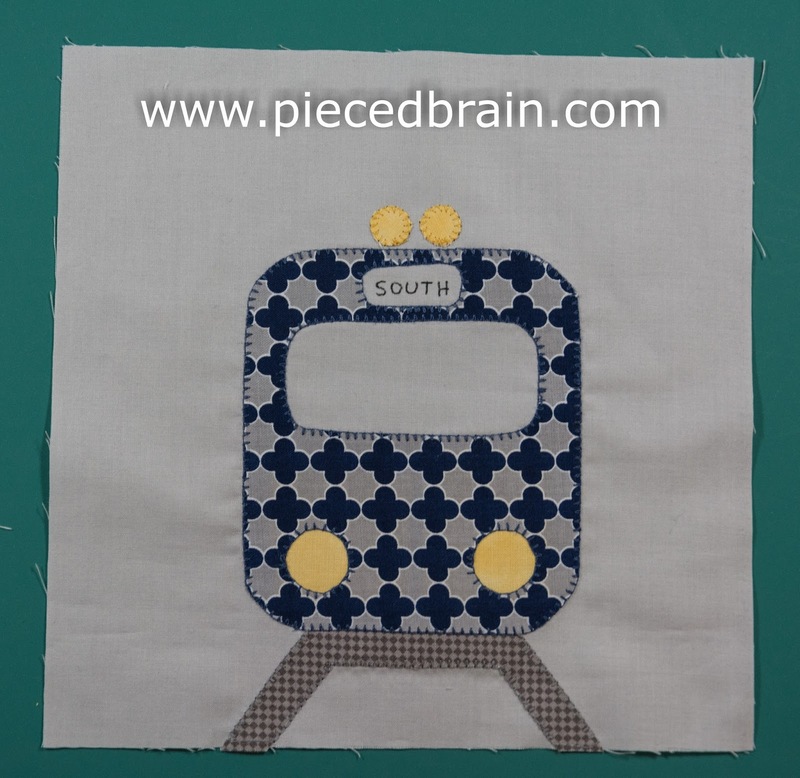 Then, machine applique the top lights and the tracks. 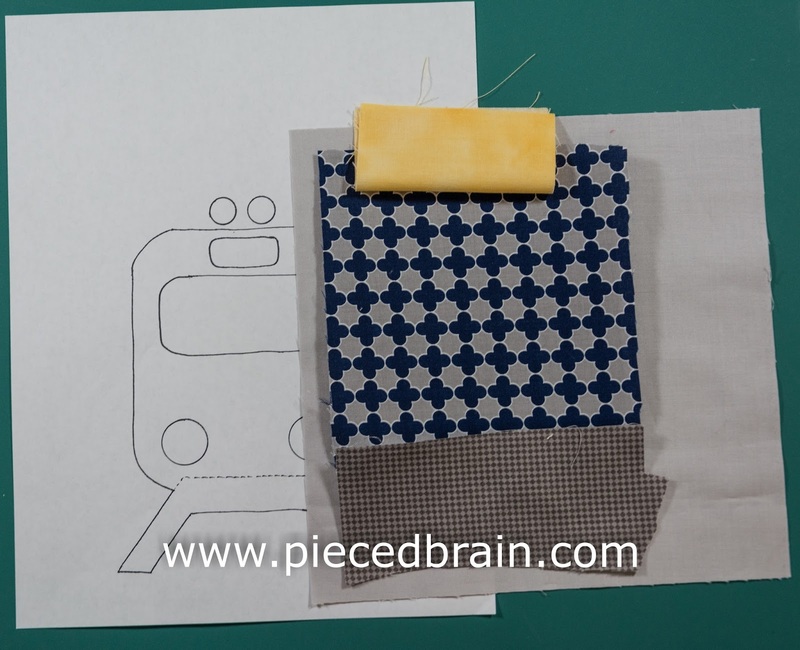 Finally, using the fabric marker write the destination for your train. How are you doing with your blocks? Take a look at Ann's blocks 13, 14 and 15 - aren't they gorgeous? I can't wait to see what her finished quilt will look like. In the meantime, we have a few more blocks to make - I am thinking we will have about 35... 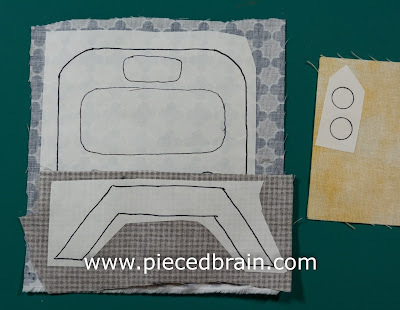 If you get delayed, remember to check the City Girl Sew Along page where you can find all the blocks we have made so far.